Calibrating your speedometer is very easy. I just went down to my local Ford Parts Department and talked to Gene. Gene, in my experience, has been very helpful and knowledgeable. Gene advised me that when calibrating the speedometer, you must know how far off your speedometer is and what gear you currently have. I told Gene that I had a 19-tooth speedo gear. He didnÂ’t ask what vehicle or gear ratio or even tire size that I had. I then told Gene that when my speedometer was reading 70 MPH I was actually going 65 MPH. This one was very easy for Gene. He said that to slow down the speedometer 5 MPH we wanted to add one tooth to the gear. Very simple. Gene went into the back room and came back with this little gem. 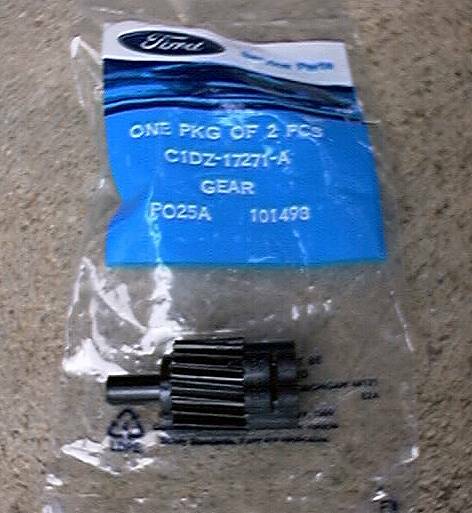 A Ford part # C1DZ-17271-A 20-tooth gear. A black gear. The 19 tooth gear is a pinkish color. I didnÂ’t bother asking Gene if they were color coded. 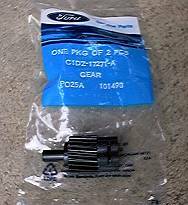 Also, based on the part number, Ford has been using this gear since 1971. I paid my $7.75 and went on my way. When I got home I slid under the Explorer with an 11MM wrench, a rag, a pair of needle nose pliers and my new speedo gear. 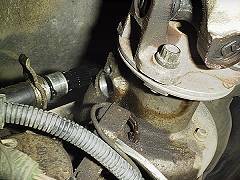 I removed the 11MM bolt, slid the speedo out of the end of the tailshaft and wiped the ATF off of the assembly with the rag. Next, I removed the retaining clip with the pliers and slide the gear off of the assembly. To install the new gear, simply slide the gear onto the assembly and replace the retaining clip. 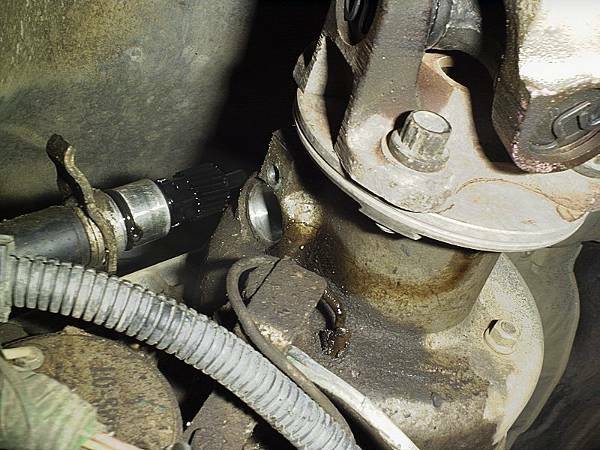 Then, insert the assembly back into the tailshaft and tighten the bolt down. You may need to turn the gear when placing it back onto the assembly to line it up with the speedo cable. Voila, your finished. In five minutes, you had an informative conversation with the Ford guy and in two minutes you calibrated your speedometer.